Fishermen tend to be hands-on, action-oriented individuals; for many the subject of ocean planning and marine spatial planning has been simply too abstract to pay close attention. However, fishing industry leadership has been tracking the progress of the National Ocean Policy, and thought leaders have quietly begun a dialog within the community and with planners. Fisheries are, after all, spatially explicit and most fishery management regulations have spatial definitions. Some of the most effective fishery management plans in the Northeast US employ area-specific strategies contributing to commercial production. Essential fish habitats and the spatial aspects of ecological relationships are increasingly a consideration for managers. At its most fundamental, fishermen ply their trade and experience the ocean environment in discrete fishing grounds or habitats. In the Northeast, from the shore to the shelf edge, nearly every square inch of ocean has value for someone in some fishery, at some scale. 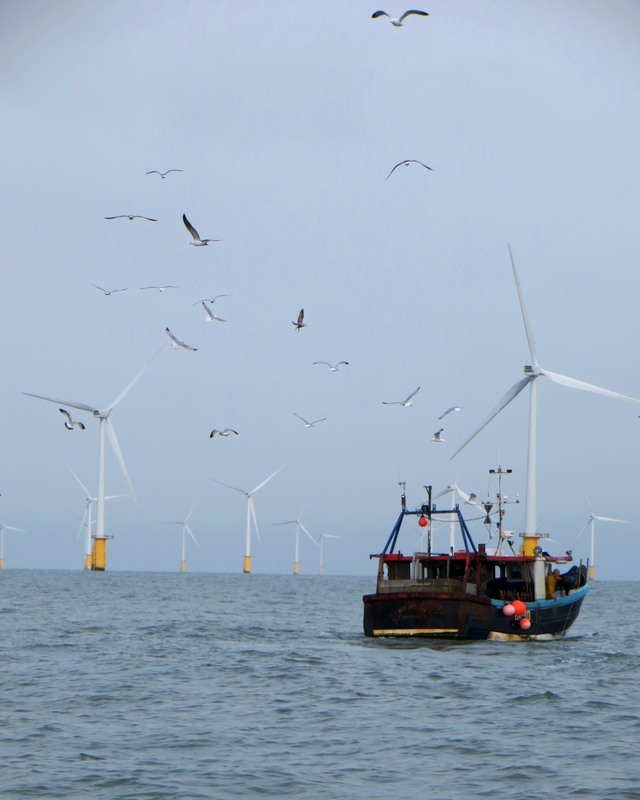 Offshore renewable energy development offers the first large-scale challenge to these fishermen’s traditional access. The Bureau of Ocean Energy Management has been working with coastal states in the Northeast to designate large wind energy areas for future development in federal waters. As offshore windpower permitting progresses the need for guiding policy will be essential if the two industries are going to share the seafloor, while preserving the ecological integrity of that environment. This is rapidly becoming the impetus for the fishing-public finally to recognize the real-world value of comprehensive planning in processes now underway in the Mid-Atlantic and New England as part of implementation of the National Ocean Policy. • Planning takes time and unfolds in stages. 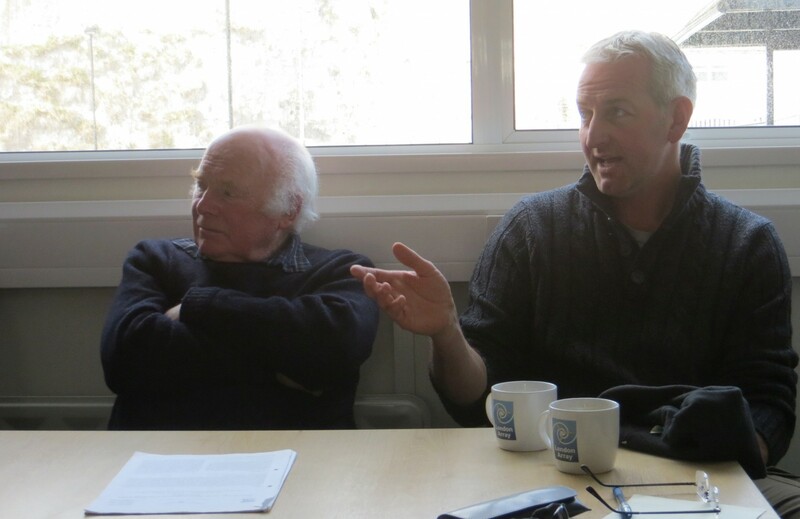 • Informed fishing industry engagement is critical from the very start. • The planning process provides an impetus for the fishing industry to organize. • Creative solutions and information-sharing happen when the industries (wind power and fisheries) negotiate directly; government has a role in creating the context for that to happen. • Economics should not be the sole criterion for judging comparative impacts and benefits. • Effective mitigation of development impacts provides affected communities a long-term stake in the development. In the weeks ahead, we will report on our experience, and expand on these take-away lessons.